What is the BEST drone under $200? Let's find out! Not all drones are created equal. Some are faster, while others are more stable. Some drones have advanced features and high-definition cameras, while others are more affordable. If you are looking for a drone that meets your needs, but don’t want to spend a small fortune, then you are in luck. We’ve done extensive testing and research on 100s of drones and we’ve created this list of the best drones between $100 and $200. We’ve hand-selected 6 drones that check-in between $100 and $200. These drones are solid deals and can take pretty good pictures and video. To get professional-quality pictures and video you’ll probably have to spend a little more money. If professional-quality footage is your goal then take a look at this article. We’ve tested hundreds of drones and we can help you find the right drone for any budget. Whether you want to spend $20, 200 or even $2000 we can help. Start by choosing the price range that is best for you. You can have a lot of fun with drones under $100, but there are some features that you just can’t get for less than three figures. First off, the cameras on sub-100 drones aren’t generally very good. You will be lucky to find a 720p camera and only the Ryze Tello has image stabilization. As of today, you still can’t find GPS-enabled features on drones unless you are willing to spend more than $150. Drones under $100 also tend to be small, meaning they may be good for indoor flight but they are typically not suitable for carrying larger action cameras. The best drone under $100 is the palm-sized Ryze Tello. Yes, it is pretty nice, but it doesn’t have GPS or brushless motors. Those are two big improvements you’ll see in our recommendations below. We tested the flight time of the Tello and found it to be 13 minutes and 25 seconds. Once upon a time, the ZeroTech Dobby and Yuneec Breeze were closer to $500 than $200. But now the prices of these two full-featured drones have dropped to under $200. Both of these drones are small and portable and feature 4K cameras. They are both GPS-stabilized for easy outdoor flight and both pack a handful of advanced flight modes. Both drones even feature 4K video or electronically stabilized full HD. On a drone like this, we prefer to fly with the stabilized video that is available only in 1080 resolution. Take a look at the Yuneec Breeze in flight. The Yuneec Breeze($150-199) is a pretty impressive small quadcopter. It has a one-axis mechanical gimbal that you can adjust with your smartphone and it also does a nice job of smoothing out the video with its electronic image stabilization (EIS) software. You can capture up to 4K footage if you choose not to utilize the EIS. It is an impressively stable GPS drone and has some solid video modes and features. You can even add a compatible Bluetooth remote for increased flexibility. Learn more about the Breeze HERE. The MJX Bugs 5W and JJPRO Epik ($130-199) are both solid brushless GPS drones. They are full-featured GPS drones with 1080p cameras. You will get return home, follow me, orbit as well as waypoint modes. The camera is adjustable from the remote, so you can line up your pictures and video from your FPV feed. The differences between the Bugs 5W and Epik are only cosmetic so you’ll want to choose the one with the best price. The MJX Bugs 2SE($130-150) is a full-featured GPS drone with an HD camera. There are a few versions.We recommend the newest version the Bugs 2SE. The Bugs 2 drone is fairly stable with both altitude hold and GPS. It does have a return-to-home feature and the new SE version adds orbit capability waypoints and follow me. It has an impressive range of 1000 meters without FPV and an uncommonly long WiFi FPV range of about 500 meters. The Bugs 2 has one of the better flight times of the drones on this list, with an ability to stay airborne for 18-20 minutes. Learn more about the Bugs 2 HERE. Take a look at the Hubsan H501S. This quad from Hubsan ($140-190) is a popular drone for a handful of reasons. It features GPS and altitude hold stability as well as an HD camera. Instead of relying on WiFi for FPV, it uses a much more reliable 5.8 GHz analog signal. The remote transmitter also has a built-in screen to view your live video. The H501S features return-to-home as well as follow-me mode. There is also a PRO version that comes with a better remote and increased range. Learn more about the Hubsan H501S HERE. The Syma X8HG and the Force1 F100 are both fun and capable drones but the thing that sets them apart is their customizability. You can add your own action camera like a GoPro and even a full stabilizing gimbal (on the F100) if you want. The Syma X8HG is an excellent first drone that can carry a GoPro or action camera. 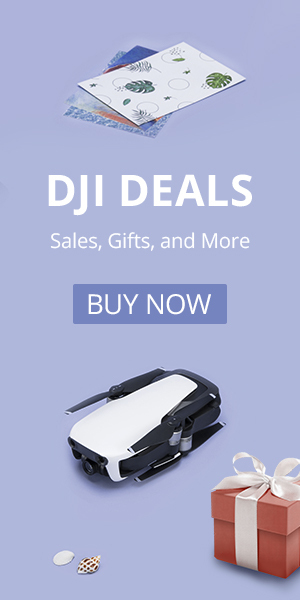 The Syma X8 is the most inexpensive drone on this list and you can use that extra cash to get yourself an excellent action camera to go with it. The Syma X8 lineup of drones has been a staple in the hobby for years. These drones are extremely durable, very stable and quite adaptable. The X8HG is probably the best of the bunch as it comes with altitude hold and it has a good HD camera. This is one of the best HD cameras you’ll find on a drone that costs about $150. If you already have a GoPro or an action camera then you can add an adapter and get even better footage. Learn more about the Syma X8 HERE. Take a look at the versatile Force1 F100 in black. Here it is carrying our action camera, but you can pick one up with a Force1 action camera also. The Force1 F100 Ghost is like the Syma X8 on steroids. It has powerful brushless motors and comes with a removable HD action camera. It is a fast drone and can be flown for aerial photography. Heck, it’s fast enough that if you add an FPV camera you can race them with your friends. None of the other drones on this list can do that. This drone really is versatile and one of our all-time favorites. But the F100 doesn’t have everything, what is it missing? The F100 Ghost does not have altitude hold or GPS for added stability. If you are looking for an alternative to the F100 you can also check out the Bugs 3. The Bugs 3 is pretty much the same drone, just funnier looking. The Bugs may be less expensive, but it typically doesn’t come with a camera, an extra battery, or US-based support. Learn more about the F100 HERE. The Taranis QX7 and Emax Tinyhawk seem to be made for each other. The Emax TinyHawk is a fantastic tiny brushless FPV quadcopter. It is a lightweight 75 mm quad with a nearly indestructable frame. If you are looking to get into FPV flying or want a small quad that you can fly indoors or out then you should take a look at the TinyHawk. It is an absolute blast to fly. If you already have a remote and goggles you can pick up a TinyHawk for $99. 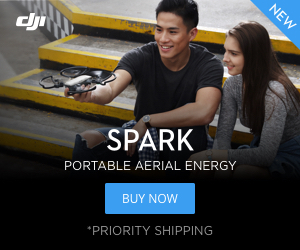 However the ready to fly package that includes a remote and goggles with the drone is only $165. It is by far the best starter package for flying FPV. Learn more about the TinyHawk here. The video below is an excellent comparison of the DJI Spark vs two of our favorite sub $200 drones the Hax and the Bugs 2. It will demonstrate the differences in paying $200 vs $500 for a drone. Are you looking for something that can take even better pictures? Both the DJI Spark and DJI Phantom are excellent aerial photography machines. If you are looking a serious aerial photography machine then you may want to take a look at either the DJI Phantom or DJI Spark. You can pick up either for just under $500. Both of them have excellent HD camera and feature a gimbal to stabilize footage. While the six drones on our under-$200 list are nice, the Phantom 3 and Spark take your experience to the next level. Sometimes you can get refurbished drones for $350 or less. So go ahead and live a little. If you have a $1000 budget then you have some really nice options in terms of what you can purchase. Pretty much everything we’ll mention in this article can take excellent pictures and video. They all have intelligent flight modes. We’ll break them down for you. For a serious aerial photography click HERE. Pingback: JJPRO Hax is the BEST Value GPS Drone You Can Buy! Pingback: Ryze Tello 2: What Can We Expect To See from Ryze, DJI and Intel? Pingback: Syma X25 Pro: A GPS Drone for Under $100? Pingback: Bayangtoys X22: GPS and a Full Gimbal for under $300! !